fastjet plc is pleased to announce its passenger statistics for the month of April 2014.
fastjet operations in Tanzania carried a total of 35,763 passengers and achieved a load factor of 66%. During the month, the frequent closure of airports and roads due to prolonged periods of extremely adverse weather conditions led to a decrease in punctuality, with 79% of flights arriving on time Note 5.
fastjet is also pleased to announce that its recent sale, which took place on 30th April 2014, was highly successful with almost 23,000 bookings made across all our routes, including for the upcoming summer period. During the sale, traffic to fastjet's website increased very significantly, with web hits up by 977% compared to the same day in March 2014. Unique users (visitors to the site using a guest ID) increased by 163% in Tanzania and 210% in South Africa as new customers took advantage of fastjet's attractive low fares. The Company also set up 'pop-up shops' in several locations in Tanzania, providing temporary distribution facilities to purchase tickets. These shops were well-received and this is an initiative that fastjet will consider repeating. Ed Winter, interim Chairman and Chief Executive Officer of fastjet plc, said: "I am very satisfied with these results for the month of April. Apart from the Easter weekend, demand is generally low at this time of year - with the continued rainy season often bringing travel to a halt - so this has been a strong performance. Passenger numbers carried by the legacy Fly540 operations continue to decline, as expected, as we restructure those businesses." Commenting on the success of the sale, Chief Commercial Officer, Richard Bodin, said: "From a sales and distribution perspective, our sale saw the most successful day in fastjet's history, with record-breaking ticket sales, conversion rates and mobile payment transactions. The success of the sale has put us in a strong position as we head into the high season." 1. "All Operations" includes statistics for fastjet Tanzania, Fly540 Kenya, Fly 540 Ghana and Fly540 Angola. 2. "Passengers" for 540 operationsare flown passengers and for fastjet operations are sold seats flown, in both cases excluding infants. Fastjet bookings are generally non-refundable whereas 540 bookings are in some circumstances refundable. 3. "Load Factor" is the number of 'passengers" as a percentage of the number of available seats flown. 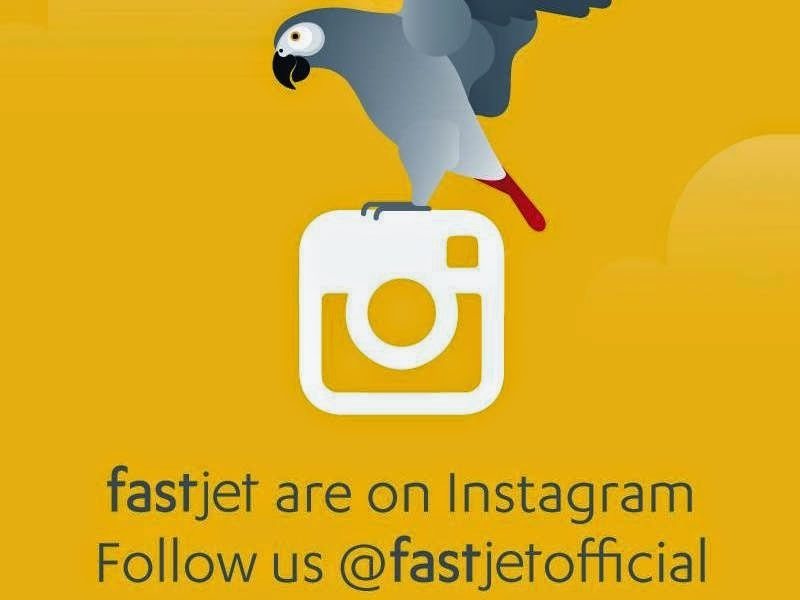 fastjet plc is the holding company of the low cost airline fastjet which commenced flights under the fastjet brand in Tanzania in November 2012. The airline introduced Airbus A319s into its fleet. By adhering to international standards of safety, quality, security and reliability; fastjet has brought a new flying experience to the African market at unprecedented low prices. fastjet is implementing the low-cost model across Africa and its long-term strategy is to become the continent's first low-cost, pan-African airline. fastjet plc is also the holding company of Fly540, which operates in Kenya, Ghana and Angola. The results of a recent customer satisfaction survey showed that 100% of customers were likely to recommend fastjet to a friend. In developing its strong brand and identity, fastjet has won and been nominated for a number of awards, including winning three Transform awards for the rebrand and launch of fastjet and the award for "Brand Strategy of the Year" at the recent Drum Marketing Awards in London. fastjet plc is quoted on the London Stock Exchange's AIM market.